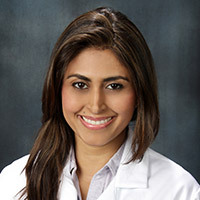 Dr. Huma Hasnain is a nephrologist who has an outpatient practice in Torrance. She also treats patients at Little Company of Mary Hospital and Torrance Memorial Hospital. She is board certified in internal medicine and nephrology, and is a member of the American Society of Nephrology and the National Kidney Foundation. Dr. Hasnain earned her medical degree from St. George’s University School of Medicine. She completed her internal medicine residency at Banner Good Samaritan Medical Center in Phoenix, Arizona, and completed her nephrology fellowship at the David Geffen School of Medicine at UCLA. She obtained her undergraduate degree from the University of Southern California. In additional to her clinical work, Dr. Hasnain conducts research focused on electrolyte imbalances.